ATG, a Swedish-based horseracing betting operator has increased its customer service offering after partnering with Yggdrasil and NetEnt as they prepare to start offering online gaming for the first time ever. ATG, which was originally founded in 1974 as the Swedish Horse Racing Totalisator Board, is set to begin offering more than just its main services of horse betting, and will be entering the market next year along with dozens of rivals. Long with the sports betting that it usually offers, the operator will also be putting together a portfolio of online casino games and slots, hoping to have the portfolio ready to roll by the time the market opens on January the first. 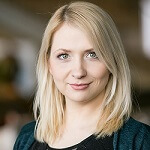 Many of its newly-acquired games stem from its new deals with Yggdrasil and NetEnt, along with Kambi, which the operator has announced will be its new sports betting platform. 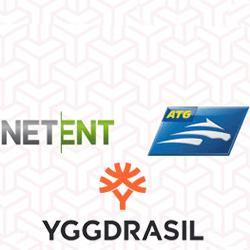 Both NetEnt and Yggdrasil have given their support to ATG – which currently has around 2 million customers – and all three hope to make ATG’s newest launch a success in the re-regulated market, with the operator having completed its licence application at the beginning of August. The company generated a turnover of SEK 13.65 billion in the latest quarter, which a 3% increase as compared to last year. They are also owned by the national trotting and thoroughbred racing association, with 90% by the Swedish Trotting Association, and the other 10% by the Swedish Jockey Club.